Riley Ellison, an obit-writing, wannabe-full-time-journalist, sleuth solving protagonist, manages to talk her editor into writing Tuttle Corner, Virginia’s biggest crime story, the murder of Doctor Davenport. While detecting and stumbling after leads, Riley tries to untangle herself from an online self-improvement app and the results are both humorous and surprisingly meaningful. Meanwhile, the mystery of who killed Dr. Davenport moves along with Riley both helping and hindering and getting help from her ex-boyfriend’s pregnant ex-girlfriend, who has moved in next door to Riley. Riley wants to hate her but finds herself captivated by her instead. Her own love life isn’t going so well, and many bumps produce an ending which, as a reader, I hope isn’t the ending. 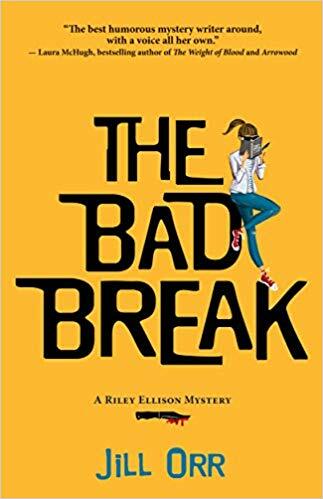 The Bad Break is a great read, a darn good mystery with plenty of humor. Sharon Woods Hopkins’ mystery series featuring mortgage banker Rhetta McCarter and her ’79 Camaro hits close to home. Sharon is a former branch manager for a mortgage office of a Missouri bank. She also owns the original Cami, a restored ’79 Camaro like Rhetta’s. 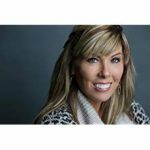 Sharon’s hobbies include painting, fishing, photography, flower gardening, and restoring muscle cars with her son, Jeff. She is a member of the Mystery Writers of America, Sisters in Crime, Guppies, Thriller Writers of America, the Southeast Missouri Writers’ Guild, Heartland Writers, and the Missouri Writers’ Guild.